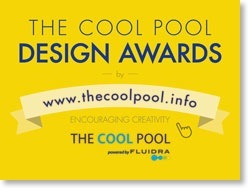 Fluidra, the multinational group dedicated to the development of applications for the sustainable use of water, has created The Cool Pool Awards, an international architecture and design competition. The purpose of the event is to provide a platform to encourage the development of more creative and sustainable design techniques, as well as giving professionals in the sector an opportunity to shine. The Cool Pool Awards will be run over two years and is divided into two categories, open to candidates from all over the world. 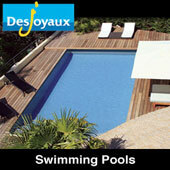 The Pro category is open to experts and professionals in the fields of design, construction and swimming pool maintenance. (Images of the final product should be included with submissions). The Open category is open to the general public, especially architects and students who can submit their entries using sketches and renderings. The candidates in both categories may submit their entries individually or in teams of up to four people. The competition has the support and expertise of a jury composed of renowned experts in the field, including Jean-Michel Ruols, (architect and designer of the Inúu wellness Centre), Sergi Balaguer, (architect and co-founder of Alonso and Balaguer), Eloi Planes (CEO of Fluidra), Loïc Biagini (CEO of International Media Communication), as well as other representatives from the media who specialise in the field. The jury will give special consideration to the sustainability and innovation of the projects, as well as their integration into the surrounding environment, their usability and, naturally, their aesthetic. The prizes for this first edition are a trip for two to the 2017 World Swimming Championships in Mexico, a weekend for two at the exclusive Inúu wellness centre as well as thousands of euros worth of products. Furthermore, the winners of both categories will enjoy media coverage through the Fluidra Group’s own channels, as well as in the sector’s leading trade publications. The entries in both categories must meet certain requirements. In the Open category, projects must include the AstralPool MAC, AstralPool’s standalone smart device that enables users to manage the physical and chemical treatment of their pools. 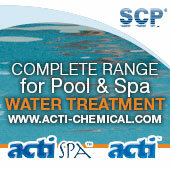 In the Pro category, entrants can choose between including the AstralPoolMAC® or two sustainable Fluidra products. These requirements have been designed to ensure that the company rewards the loyalty of pool experts to Fluidra’s brands. The deadline for entries is 1 June 2016 for the Pro category and 1 September 2015 for the Open category. Candidates will be able to submit their entries until 30 June 2016 and 30 September 2015, respectively.